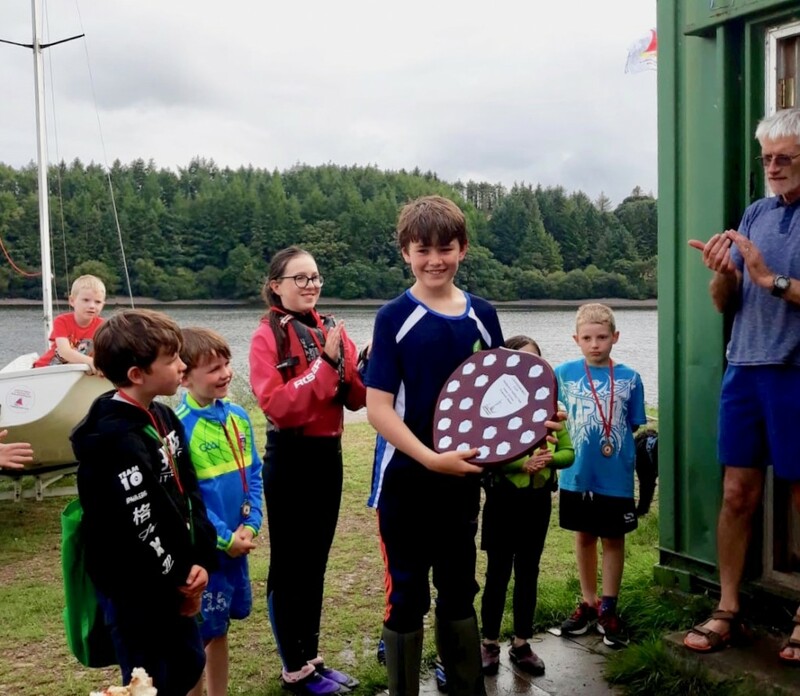 Muskerry News | Inniscarra Sailing and Kayaking Club’s 2019 season begins! A new season of adventures began on Sunday, April 7th at the Innisleena Recreation Area for anyone with an interest in sailing or kayaking. This small but vibrant, family-friendly sailing and kayaking club caters for people of all ages and all levels of experience. There has already been a huge surge of interest from new families and individual members, all looking forward to spending Sunday afternoons enjoying the beautiful Inniscara lake whilst learning a new skill in a safe and friendly environment. Amongst last season’s highlights was the Commodore Cup, and the prestigious Topper Cup, won by our future Olympian Sean O’Herlihy pictured. ISKC are always keen to welcome new members, and would be delighted if anyone wanted to drop by and experience the atmosphere on any of the sailing or kayaking days (beginning around 1pm almost every Sunday from April to October). The only things required are a wetsuit, an old pair of runners, a towel and a sense of adventure! Membership benefits include supervised sailing sessions with safety boats crewed by qualified drivers, regular organised kayaking and sailing events, the use of club kayaks and dinghies, boat storage on the lakeside, kayak storage in the club containers. In particular, members will enjoy hands-on learning. Members are encouraged to get hands on involvement in all club activities, including being race officer for the day, safety boat crew, BBQ officer (very important!) or any other duties that arise in the running of the club and sailing sessions. Major pre-season work has been undertaken by members, including a major renovation of the clubhouse, changing facilities and boat storage areas. ISKC is in the process of obtaining approval from Irish Sailing (IS) as a recognised Training Centre, and hope to run IS accredited sailing courses in Summer 2019. These courses will be for people aged 7-17 years old, and will follow the IS Start Sailing and IS Basic Skills curriculum. To find out more, please see the website www.corksailing.com, or contact 086 6083383.